Have a look below at a brand new offering from Fantasia Ceiling Fans. 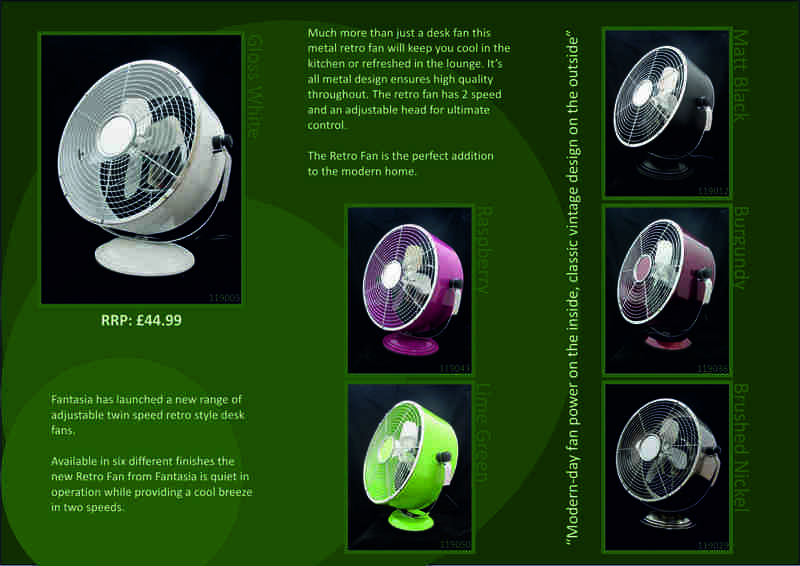 We’ve moved from the ceiling to the desk with the introduction of a brand new range of retro fans. Available in 6 colours and with adjustable speed and a tilting head, these fans provide modern air movement combined with classic styling.